It's Labour Day weekend, and fresh off a freight train is Hal Carter (William Holden), a happy-go-lucky drifter who's looking for a brand new start in life. A robust, handsome show-off, Hal has come to Kansasito seek gainful employment in his old fraternity brother Alan's family granary. But despite his high hopes and expectations, Hal's ambitious plans soon go away when his sexual magnetism attracts every woman in town, including 19-year-old Madge Owens (Kim Novak) - the alluring young beauty queen who also happens to be Alan's girlfriend. 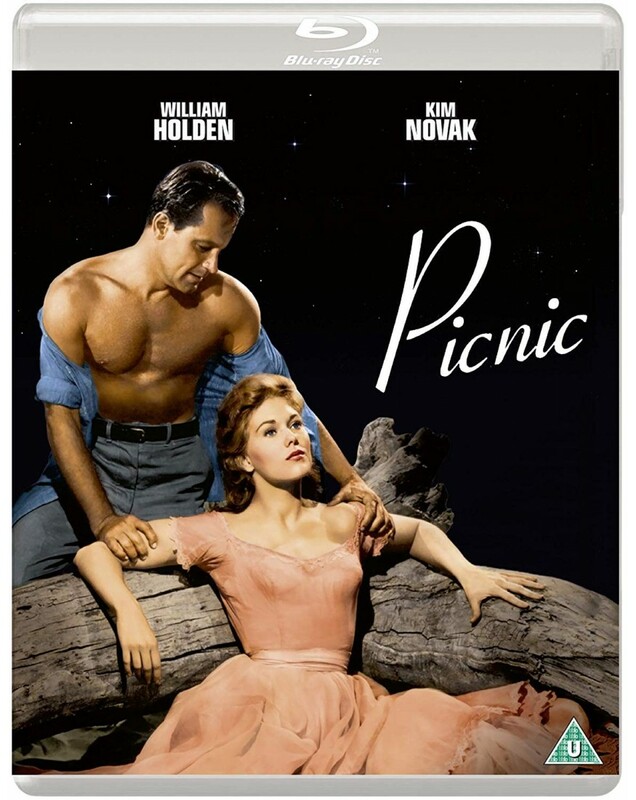 Also starring Rosalind Russell, Arthur O'Connell, Susan Strasberg, Nick Adams and Cliff Robertson, Picnic was nominated for six 1955 Academy Awards: Best Picture, Best Director (Joshua Logan), Best Supporting Actor (O'Connell), Best Music, Best Colour Art Direction and Best Editing.